The guide covers various sources of lighting with practical explanations for the myriad terms used to define light intensity and provides information on calculating light requirements and determining effective flashpower. This is an excellent guide and enjoyable read (no stereo-instruction-style writing included!) 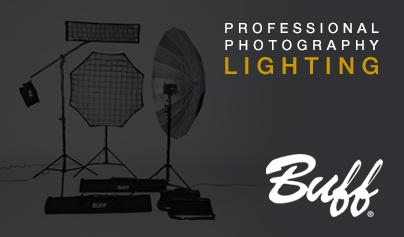 for all photographers who are interested in understanding lighting better. The behavior of light is not well understood by many photographers. This applies both from a technical as well as compositional standpoint. It must, however, be comprehended, at least in principle, if one is to master the art. This paper will attempt to bring forth some understanding of both the physics of light propagation, as well as methods of applying what is learned in the photography studio. The evolution and state of the art of studio flash systems will be covered in particular detail, as will be their use. It is hoped that what is presented will provide useful tools and incentives to amateurs and professionals alike. In the practical world of photography, however, there are certain limitations regarding which combinations of intensity and time can be successfully used. In the darkroom or graphics studio, we think nothing of using rather low light intensities and long exposure times, even a minute or two. Most photographic objectives, though, are not afforded this luxury since neither the subjects nor the equipment will hold still that long. As we all know, if anything moves significantly during the exposure, blur results on film. Therefore, in most cases, the closer we can come to the high intensity/short duration end of the spectrum, the better the resulting picture. How far we need to go in this direction, obviously, is a function of the types of subjects we choose, the techniques and equipment we employ, and the degree of perfection we strive for. While we might get by with a relatively low light intensity and, say a 1/15 second exposure on a tripod portrait shot, anything longer than 1/60 second is sure to degrade pictures of moving subjects, hence higher illumination intensities will be required. Now, there are two more variables that determine how much light intensity is needed: lens aperture and film speed. While it is practical to obtain short exposure times in low light levels using fast film and ”fast” (large aperture) lenses, we pay for the privilege on both fronts, in the form of inferior results. Simply stated, the faster the film (higher ASA/ISO numbers), the more grainy and poorly resolved the result. Similarly, the larger the lens aperture (lower f stop numbers), the smaller the depth of field or zone of sharp focus, regardless of the cost of the lens. There are no two ways about it. If we want sharp and brilliant pictures with good depth of field on moving subjects, we must use slow or moderate speed film, moderate or high apertures, fast exposure times, and lots of light. Ok, we can define film speed to the range of, say, ASA/ISO 25 to 160, lens apertures from, perhaps, f8 to f22, and exposure times in the range of 1/60 and upward, but how do we define ”lots of light”? This is where most of us start guessing. Let’s, then, get to the basics of light specification and propagation. First, though, we’ll touch on one more film related subject...Reciprocity. As stated, films all require a specific amount of light (intensity times exposure time) for correct results. At the extremes of exposure time, however, the amount of light changes. A greater amount of light might be required for correct exposure of a given film if the exposure time is, say, longer than one second, or shorter than 1/1000 sec. In other words, the film speed actually changes at the extremes of exposure time. In black and white work, this does not pose too much of a problem since the net result is a slight under or over exposure which can be easily corrected in the darkroom. With color film, a more potentially serious result can occur, when it is considered that color film is actually three films in one. If the three color layers exhibit reciprocity effects that are different from each other, the result of overly short or long exposure times can be a shift in the color balance and unfaithful reproduction of the color spectrum. This effect is much harder to correct for. Little information is given on this subject by film manufacturers. Consequently, most color-conscious professionals will try to avoid extremely short exposure times (less than 1/1000 sec.) as well as inordinately long ones. Of particular concern are the ultra-short flash durations, which may be exhibited by poorly designed or mismatched flash components. While there are many systems of defining light strength, such as lumens, lux, lamberts and others, the photographic community has standardized on the original ”candle” family of specification terms. Thus, these are what our attention will be directed to. If we are to progress beyond terms such as bright, dim and lottalight, a basic understanding of these terms is in order. CANDLEPOWER: This term defines, as one might suspect, the intensity of light emitted by a standardized form of candle. One Candlepower (CP) relates to the light of one candle. CANDLEPOWER SECOND: An amount of light emitted. One Candlepower Second (CPS) is the amount of light emitted by a candle, which is lighted for one second. FOOTCANDLE: The intensity to which a surface is illuminated. One Footcandle (FC) is the intensity of illumination that will fall upon a surface, placed one foot from a candle. FOOTCANDLE SECOND: The amount of light falling on a surface. One Footcandle Second (FCS) is the amount of light received by a surface one foot away from a candle during a one second interval. One Footcandle Second would also result on a surface placed one foot from 10 candles if a 1/10 second measurement period were used. However, one Footcandle Second will not result is two candles are placed two feet from the surface...see Inverse Square Law Propagation. BEAM CANDLEPOWER: The Beam Candlepower term measures the effective intensity of a light source when it is focused into a beam by a reflector or lens. A ”naked” candle in the center of a room, for instance, would emit 1 CP in all directions. If a mirror were placed behind the candle, however, the light traveling backwards would be reflected to the front, thus aiding the front emission and doubling the intensity of light projected front wards. Thus, the effective, or ”Beam” Candlepower in front of the source/reflector combination would be 2 BCP. No more light is actually produced...it is simply concentrated into a smaller area or emission angle. BCP specifications and measurements are made along the axis of the projected beam. BEAM CANDLEPOWER SECONDS (BCPS): If this one isn’t obvious by now, I haven’t made things clear or you haven’t read them. For the record, one BCPS is an amount of light emitted by a source/reflector combination, as measured along the axis of the beam, which is equivalent to that amount of light which would be emitted by a ”naked,” or weakened candle, lighted for a period of one second. INVERSE SQUARE LAW PROPAGATION: This basic law of physics probably gives photographers more headaches than any other. What it says is that the intensity of light falling upon a surface is inversely proportional to the distance between the surface and the light source. If the distance is doubled, for instance, the surface illumination decreases by a factor of four (2 squared). If the distance is increased tenfold, the surface receives only 1/100 as much light. Thus, one candle placed two feet from a surface provides only 1/4 Footcandle of illumination. Having touched upon the rudiments of light behavior and specification, let us set up a hypothetical lighting situation and determine what is needed. While we will get into multiple light sources, diffusion and other techniques later, we presume for the moment our scene will be illuminated from a single incandescent lamp in a reflector. The subject will be human (prone to a certain amount of movement), while our objective is a sharp, highly resolved and generally high quality photograph. In order to meet these objectives we might choose an ASA/ISO 100 speed film, a lens aperture of F11 and a shutter speed of 1/60 second. For even lighting, we might choose a minimum light to subject distance of 6 feet. By referring to appropriate charts, or to an exposure meter, we find that approximately 32 Footcandle Seconds are needed to expose ASA100 film at f11. In order to make the exposure in 1/60 second, we will need 60 times 32 FCS, or 2000 Footcandles of light intensity. Since our light is to be placed 6 feet from the subject, we will need 6 squared, or 36 times 2000 BCP, or 72000 BCP from the light source. We can typically expect a reflector gain (concentration factor) of around 6, so the required 72,000BCP can be achieved with around a 12,000 CP bulb. Now for the big question...what wattage light bulb will produce 12,000 Candlepower? Typical incandescent photolamps produce on the order of 1.5 Candlepower per watt. Thus, (Gulp!) an 8000 watt bulb is indicated. Now, an 8000 watt incandescent bulb...even just one, will require heavy duty 230V circuits, and will produce as much room heating as a moderate sized home furnace turned up full blast. We will need an industrial air conditioning system and large studio environment if we are to be at all comfortable in the room. Unfortunately, the facts of life are that if we are going to meet our initial objectives, using incandescent lighting, we will need a number of lights in the 5 to 10kw region... the type used in TV and film studios, as well as a similar shooting environment. Since these requirements are out of reach for the average photographer, the only direction he (she) may take is to begin to degrade the initial objectives...faster film, lower apertures, and slower shutter speeds.